I love, love, love research. 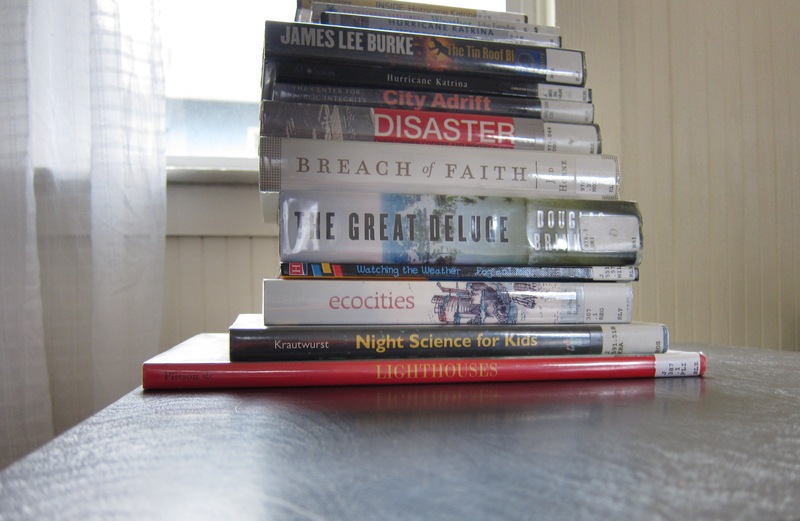 There is nothing quite like requesting everything the public library has on a particular topic and then find all those books waiting for me on the library’s request shelf–my name on a piece of paper sticking out from the top of each one. And there is nothing more lovely than books too tall to place in one stack, waiting for me on my desk; waiting for me to open them all and find the best of the best inside. Anyways, this latest stack is for some research I’m doing for A Feast of Weeds, my current WIP novel. I’m calling this Part I, but as my husband can attest, I have already done this more times than he can remember. I’ve just never taken a picture of the stack and posted it online–I can’t believe I didn’t think to do this until now!